In a night of intense drama the home audience was gripped by the raw, physical power of a performance in which passages of near silence teetered on the brink of stillness without ever quite surrendering to the void. 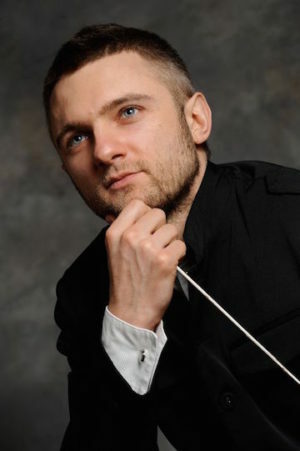 Every inch the favourite general, Kirill Karabits marshalled his musical troops in an elegant, forceful rendering of Brahms’ Tragic Overture assembling melodies in sections then chasing them around the orchestra, twisting and turning, dancing playfully one minute then coalescing into something more strident the next before resolving into an energetic coda that tinkers with calm ahead of the eruption of closing chords. 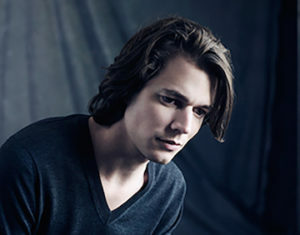 Beethoven’s Third Piano Concerto called for the poetic attentions of David Fray and the much-feted pianist didn’t disappoint. A brooding presence as the orchestra established the taut opening, he sprung into action to grasp the spotlight with both hands, his fingers a blur as he scaled the heights of the composer’s will. The music serves such a soloist well of course, but Fray was in inspired form, as indeed was the orchestra and together they conjured every ounce of emotion, equally supple partners in discerning the many wonders of this most majestic work. Fray’s matchless performance earned him a thoroughly deserved and quite brilliantly executed encore. Allan Poe’s rhythmic poem of the same name charts our progress through life using the sound of bells to chime with shared experiences of discovery, love, fear and death. A thrilling presence throughout Bournemouth Symphony Chorus meld superbly with the orchestra generating the sheer force required to deliver the composer’s intent as well as the aural space to accommodate guest singers Artjom Korotkov (tenor), the animated Olga Mykytenko (soprano) and Nikolay Didenko’s sonorous bass. It’s nothing if not spectacular, but to be overwhelmed by its stately scale is to miss some not exactly trifling treasures along the way – the perfectly struck chimes, the haunting cor anglais, the celeste’s tragic echo – all held in faultless balance by the imperious baton of Karabits.